Documents leaked by Edward Snowden show NSA informed US negotiators of rival countries’ strategies and positions before 2009 climate summit. The US National Security Agency (NSA) gathered intelligence from key countries concerning the UN Climate Summit in Copenhagen in 2009, new documents leaked by whistleblower Edward Snowden reveal. The NSA documents show that the US monitored communications between countries before the summit, and planned to spy on the negotiations during the conference, where world leaders such as Barack Obama, Angela Merkel and Gordon Brown failed to reach an agreement on plans to tackle climate change. 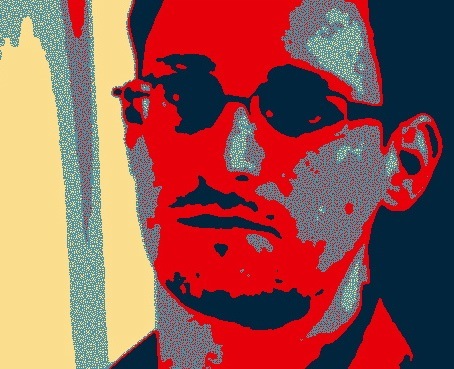 Snowden’s latest documents were published online by Danish newspaper Information, which worked together with American journalist Laura Poitras. The document, was originally posted on an internal NSA website on 7 December 2009, the opening day of the summit. Some of the paragraphs of the document are classified as ‘TS’ (top secret), the highest level of classification in the United States. Some of the top secret sections are marked ‘SI’ (special intelligence), which means data yielded by monitoring of electronic communications. Experts believes the intelligence gathered may have given the US negotiators advance information about other countries’ positions and therefore an advantage which could have contributed to the US getting their way in negotiations, Information says. Sources from the Danish COP15 delegation said that during the negotiations, the Americans were often surprisingly well informed about confidential discussions. “I was often completely taken aback by what they knew”, an official from the Danish COP15 office told Information. “Would you play poker with someone who can see your cards? Spying on one another like this is absolutely not on”, Martin Khor, director of the South Centre thinktank and adviser to developing countries at the summit, told the Guardian. “When someone has an upper hand it’s very disconcerting. There should be an assurance in negotiations like this that powerful players are not going to gain undue advantage with technological surveillance. The document says given such large participation (with all 192 UN member states invited), “leaders and negotiating teams from around the world will undoubtedly be engaging in intense last-minute policy formulating; at the same time, they will be holding frequent sidebar discussions with their counterparts — details of which are of great interest to our policymakers”. Legal experts emphasize that espionage against Denmark and the UN is illegal. “Basically, breaking into other people’s computers or networks is of course a criminal offense in Denmark. This applies to casual hackers as well as to a foreign intelligence service such as the NSA”, Jørn Vestergaard, professor of Criminal Law at the University of Copenhagen commented. ← INTERVIEW: Can Greenland’s new prime minister strike a balance between an old world and a new economy? I just checked out your blog after reading your Interface article via The Ecologist on fb. (I have heard about their work for the past 10 yrs., but from a US perspective. Good to learn about the Holland and UK factories.) Everything that you write about, I too, consider to be big news. Thanks for doing the work that you do! From a mom/artist in Florida, us. Best in all to you and yours. Hi Shawn, Thanks for reading and for your kind words!